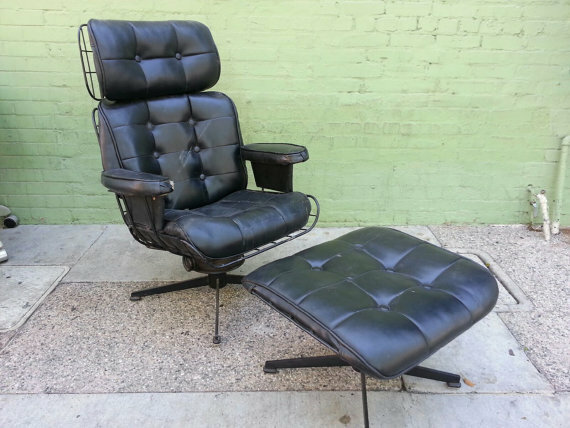 After a long day's work it would be so relaxing to sit in this black eames style lounge chair with ottoman as this one defines comfort. Well the lounge chair can be used while working on your computer as it supports up to your shoulders and up to your head. This is perfect for heavy user of PC like me who spends most of daytime and sometimes even at night working on writing tasks. Well the ottoman is a bonus where you can put up and rest your feet. It would be so lovely to do that when you're tired. I may even sleep on it. Saw this one at etsy.com at Chrissy Harris store. She sells it at ₱8,658.01.